Ester Powell will share her life-changing, life affirming testimony at the Sister Keepers’ No Greater Love Conference on Friday, January 27th night’s Living Beyond Sunday: Faith, Finances, Food, Fitness, Fashion segment. Hi, my name is Ester Powell. I am a 63 year old woman who has battled with obesity for quite some time! I was once very sick and could barely go up a few steps without giving out of breath. I was taking 22 pills a day, constantly doing different diets trying to lose weight and even did diet pills. Eventually, I began to have heart issues! I was in the hospital twice, and once my potassium had dropped so low that my heart almost stopped. That was the first time I was in the hospital. 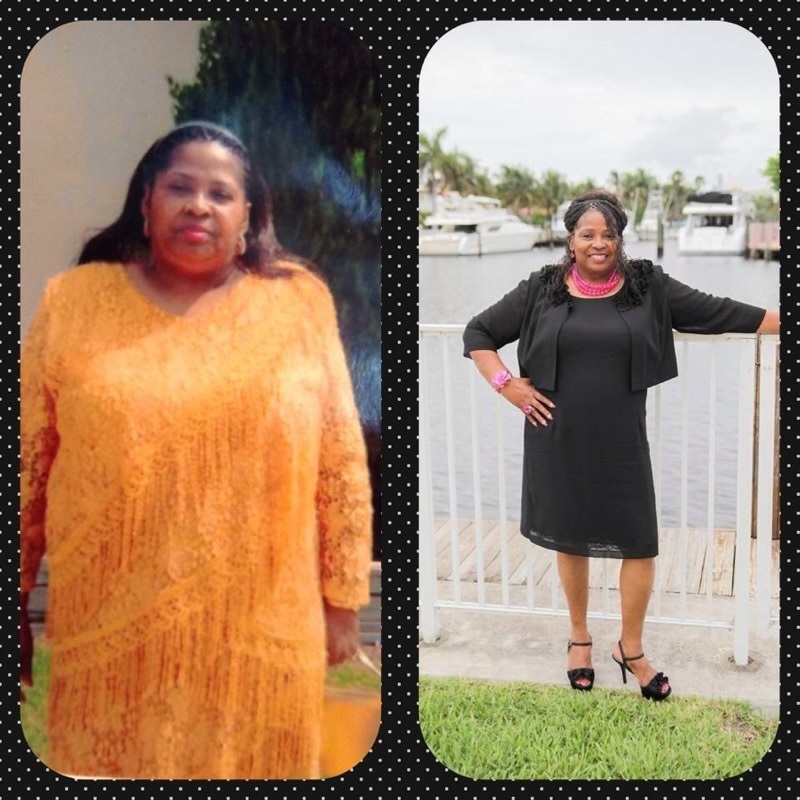 In January 2011, I decided to try out Zumba with Tekeema Parson, and soon after, I began to eat healthier, with the help of her Slimdowns! I went to get my Zumba license in October 2011. I believe in being Spiritually and Physically Fit. Now, I teach Zumba at Best Chapel F.W.B. Church, in Snow Hill, on Tuesdays, from 6:30 p.m. to 7:30 p.m., and go straight to Bible study. Since then, I have been taken off all my medicine except one pill! I have gone from a size 22/24 in women’s clothing to a 14/16, and some 18s!!! It’s hard sometimes to stay on task, especially being a Pastor’s wife, and having many people wanting to feed you. That is when willpower sets in! With the help of God and my family, I will continue to strive for a healthier me. I thank God for my husband, Pastor James Powell of Best Chapel, my daughter, Antonya Bracey, my son, Ricardo James, my church family, and many more who are there for me – to motivate and encourage me! My focus is to motivate and encourage others to see that if I can do it, so can you!